Service and Maintenance – Door Control, Inc.
Their Safety. Your Peace of Mind. Our Priority. Your patron is our customer. 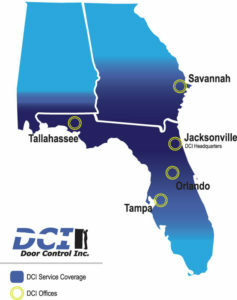 A DCI customer, whether the owner of the door or someone passing through it, is always our priority. When we service a door, we are placing our name, our reputation on that door. Therefore, we want it to be as safe and efficient as possible. A safe and efficient door ensures your patron’s safety and your peace of mind. Automatic doors must remain safe and in their optimal working condition in order for everyone to enjoy the great convenience they provide. Every one of our technicians and sales team members are certified through AAADM (American Association of Automatic Door Manufacturers) on the ANSI standards related to automatic doors. These standards are considered the highest, strictest safety standards in the industry. DCI applies these standards when installing and maintaining your doors. We are not just door experts, we are safety experts. Should we find a door that is not meeting a standard, we notify you immediately so that we can remedy the issue, which minimizes your liability. Being a DCI customer means having access to one of the most sophisticated inventory management systems in the industry. First, our service trucks are based regionally, not centrally, so when you request service, we can respond promptly. This reduces travel time and expense for you and, more important, resolves issues as quickly as possible. Second, we utilize an electronic inventory system, one that allows our headquarters to monitor all of our trucks, so they are not low on parts. Every day, the stock on our trucks is replenished. This means we will have the part your door needs. Together, with this state-of-the-art inventory management system and our Smart Phone bar code system, we provide real-time, accurate access to inventory and the correct product each time. Additionally, because our reporting is all electronic, we provide fast and accurate invoicing within 3-5 business days. In addition to maintaining the door, our technicians will train your staff on the operation and maintenance of your doors. This training significantly empowers your staff to quickly identify and fix most minor, common problems.. Each staff member will receive a technical manual that corresponds to your specific equipment. If unable to fix the problem, our technicians are always available to help troubleshoot. Troubleshooting over the phone will minimize down time, and/or determine if a service visit is necessary. The PM Only Agreement includes two yearly maintenance visits to keep your doors running smoothly. All other service on the automatic doors is on an as-needed basis. Under the PM & Labor Agreement, two yearly maintenance visits are included. All regular labor costs associated with servicing the automatic doors are also included, although charges for parts still apply. The Full Service Agreement includes both the yearly maintenance visits as well as all labor and part charges for the automatic doors covered in the agreement. Download the Daily Safety Check! Watch a short video on our free, state-of-the-art web-based software that helps you organize & maintain your door inventory! Tracks door ID codes, locations, service records and much more! We pride ourselves in being a cutting edge distributor, offering our customers the latest in doors and service with our VIP Service Program, which includes DoorTrac.